Hi Peggi. I stumbled on this site after my wife and I first found this home for sale online a few months back and found myself getting lost in all the great homes designed by Don Hershey, especially this one. We’re both designers (for web, mobile and TV apps) and we fell in love with his work. 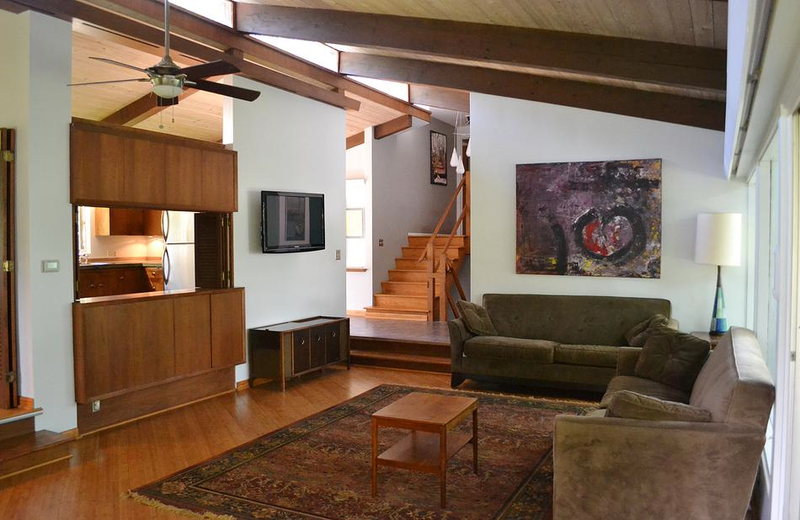 Luckily for us, we were able to make an offer on 277 Dunrovin and we’re now proud owners of this amazing mid-century modern home. Like the Wopperers at Orchard Hill (who we’re friends with), we also have all the original architectural drawings for this home. We’d love to share copies or scans, maybe even some originals, with this website and any sort of Don Hershey museum that might exist. And we met some neighbors over the weekend that knew the original owners, so we’ve got some inside info about this home. Get in touch! Hey Peggi, I never got an email from you and I just noticed your reply here. Can you try emailing me again? Thanks.